Escape to Italy! What would you do if you were sentenced to 30 days abroad? We can’t all be shipped off for a month, but whether you have 30 days off or just a few, these 30 true stories of other travelers will give you ideas of where to go, what to do, and what it’s like to be there. What would you do if you were sentenced to 30 days abroad? We can’t all be shipped off for a month, but whether you have 30 days off or just a few, these 30 true stories of other travelers will give you ideas of where to go, what to do, and what it’s like to be there. Introduction by Ivan Klíma Former exiles, current expatriates, Czech natives, and wayward travelers come together to tell their stories in Travelers’ Tales Prague and the Czech Republic. These stories are entertaining, enlightening, and laugh-out-loud funny, and the writers revel in the country’s major landmarks—from the 14th-century, sculpture-lined Charles Bridge to the magical medieval town of Cesky Krumlov—revealing why this country (and its bewitching capital) has a pull like no other place. Escape to the South Pacific, What would you do if you were sentenced to 30 days abroad? We can’t all be shipped off for a month, but whether you have 30 days off or just a few, these 30 true stories of other travelers will give you ideas of where to go, what to do, and what it’s like to be there. What would you do if you were sentenced to 30 days abroad? We can’t all be shipped off for a month, but whether you have 30 days off or just a few, these 30 true stories of other travelers will give you ideas of where to go, what to do, and what it’s like to be there. "As entertaining and informative for the armchair traveler as it is for veteran river-rats and canyoneers." The Grand Canyon is unspeakably beautiful and indeed awesome to even the casual beholder on the Rim. But to those who linger, those who explore beyond the vistas to hike the Canyon's layers or raft the Colorado River in its depths, the Grand Canyon is a temple of personal discovery, a deep Himalaya that can only be experienced to be believed. And experience it you can through the words of our authors, who turn the adage on its head: "A story is worth a thousand pictures." "An indispensible companion for anyone searching for the soul of Greece." —Phil Cousineau, author of The Olympic Odyssey The land of gods and goddesses, myth and history, known as the "cradle of Western civilization," the birthplace of drama, philosophy, and democracy, and the origin of the Olympics, what country is more pulsing with historical resonance than Greece? Also a region of stark whites and piercing blues, a gorgeous, never-ending coastline, exquisite hospitality and sumptuous food, what country is more enticing? Travelers' Tales Greece: True Stories of Life on the Road provides close-up encounters with the myriad delights of this rich culture, its wonderful people and its breathtaking landscape. Provence is one of the world's beloved places—redolent with the scent of lavender, steeped in olive oil, marinated in wine. Provence teaches us to appreciate the simple life of abundance—buying bread at the morning market, lingering over meals, and soaking in the vistas of old stone villages surrounded by fields of flowers. Immerse yourself in the landscape and light that has inspired some of the greatest artists of all time. Travelers' Tales Provence takes you into a magnificent world of food, wine, history, and art. For those who love this region, Travelers' Tales Provence will rekindle fond memories. For those who have not yet ventured into this magical part of France, it will fire the imagination with the many delights that await. Travelers' Tales: Ireland reveals the heart and soul of one of the oldest and richest cultures in Europe. Experience the wonder of Ireland as you have always imagined it would be. In Travelers' Tales: Ireland you will: kayak among hidden islands; visit timeless Donegal; dance with your friends; encounter friendly con artists; experience the Puck Fair; explore timeless ruins; meet the perverse Mr. Curtain; wander in Dingle; jump to the stars. San Francisco is one of the world's most beloved cities, spoken of in the same breath as Paris, Venice, and Rome. It is America's spiritual home—a place for the rascal, the lover, the entrepreneur, the madman, and the monk in each of us. 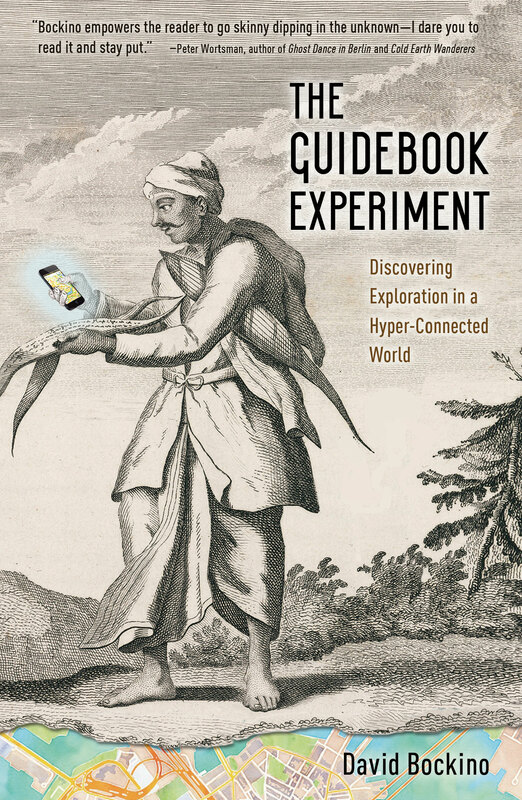 Notable authors include: Andrei Codrescu, Barnaby Conrad, Herbert Gold, Michele Anna Jordan, Herb Caen, Linda Watanabe McFerrin and Richard Rodriguez. These stories throw open the creaky door of history and let the light of this marvelous city flood out. Notable authors include: John Gregory Dunne, Ina Caro, Mort Rosenblum, Edmund White, and Jan Morris. Journey into Spain with some of the world's best writers, and discover a country of heightened senses, crimson and orange bougainvillea, and air pungent with sizzling olive oil. This updated collection of true stories includes selections by Gabriel García Márquez, Barbara Kingsolver, Calvin Trillin, Jeff Greenwald, Colm Tóibín, Penelope Casas, Robert Elms, Norman Lewis, Jeff Greenwald, and many more. Travelers' Tales Central America is a first-of-its-kind collection of stories that reveal Central America in all of its adventurous, vibrant, sobering and inspirational glory. Through stories about seven countries—Belize, Honduras, Guatemala, Nicaragua, El Salvador, Costa Rica, and Panama—Travelers' Tales Central America offers a unique window into this complex, and astonishingly beautiful part of the world. Contributors include Paul Theroux, Tim Cahill, Jennifer Harbury, Paul Berman, Henry Shukman and many more. Lowell Thomas Award Winner - Best Travel Book Thailand is one of the most intriguing travel destinations today, satisfying just about any traveler's hunger for the exotic, the beautiful, and the thrillingly different. Notable authors include: Pico Iyer, Norman Lewis, Diane Summers, Simon Winchester, Jeff Greenwald, and Thurston Clarke to name just a few. Languish under the Tuscan sun. Melt into its soil. Indulge in its fresh foods and world-renowned wines. In this sumptuous collection of stories by some of today's best writers, you'll journey into the heart of one of the most beloved regions on earth, the rolling hills and ancient cities of Tuscany. 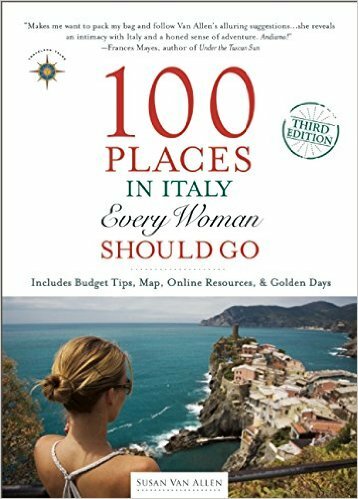 In these irresistible tales, you'll experience the seasonal daily joys of life in this magical place: harvesting grapes, hunting for truffles, marveling at Michelangelo's David in Florence, hiking the Etruscan paths, and glorying in Tuscany's bountiful art, music, history, and above all, romance. Notable authors: Frances Mayes, William Zinsser, Barbara Grizzuti Harrison, Jan Morris, and more. Funny, heart-wrenching, and smart, these tales show ancient Italy to be always new, while modern Italy still speaks the old truths of the heart. Notable authors include: Frances Mayes, Tim Parks, Matthew Spender, Barbara Grizzuti Harrison, Gary Paul Nabhan, and Mary Taylor Simeti. Saddle up and take an exhilarating ride through the Southwest in this striking literary ensemble by some of today's best writers. One of the leading tourist destinations in the world, the Southwestern United States is known for its rugged, inspiring landscape, its magical call to adventure. In places remote and arid, mountainous and lush, this complex, compelling region has long lured explorers of all ages.